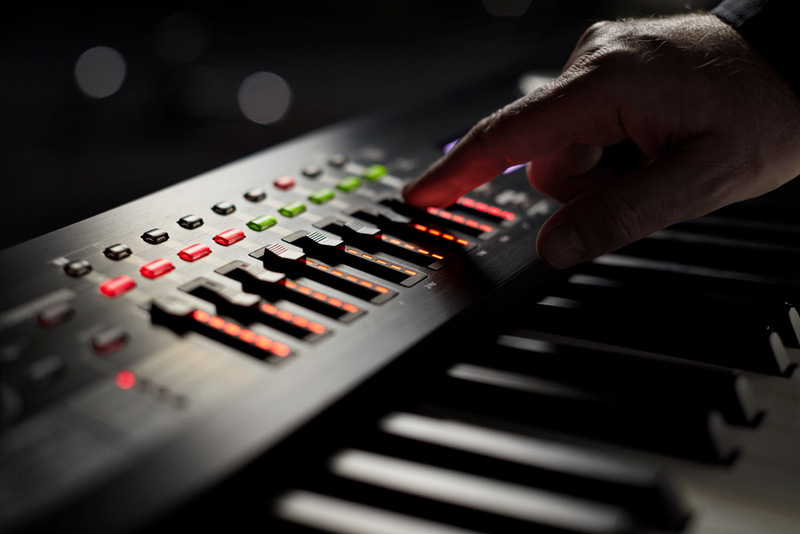 The Roland RD-2000 puts unmatched power in the hands of today’s gigging keyboardists. It offers stunning acoustic and electric pianos, as well as tons of additional sounds for tackling any musical style. The instrument also functions as a full-fledged controller, providing seamless integration of software-based instruments, hardware sound modules, and more. To top it all off, it’s equipped with Roland’s latest hammer-action keyboard for the ultimate feel and touch response. The RD-2000 features dual sound engines for unmatched creative power. One engine is dedicated to acoustic piano only, offering rich, highly detailed tone with the latest V-Piano technology. And with full keyboard polyphony, you can realize authentic piano performances with absolutely no compromises. A second SuperNATURAL-based 128-voice engine drives a large selection of electric pianos, plus more than 1100 ensemble sounds. Classic EPs throughout history are on tap, giving you sounds to cover any era. The instrument also debuts all-new recreations of sounds from the RD-1000 and MKS-20, two influential Roland classics. Released in 1986, the RD-1000 was the very first RD stage piano, and the MKS-20 housed the same sound engine in a rack module. Powered by Roland’s revolutionary SA (Structured Adaptive) technology, these instruments fueled the sounds of countless hit records through the ‘80s and ‘90s. With the RD-2000’s highly expressive ensemble sounds, you’re able to cover any nearly any musical style. Included are organs, modern and vintage synths, clavinet, orchestral strings, brass, and that’s just a start. The RD-2000 also includes two virtual expansion slots for adding more sounds from Roland’s Axial website, including selections from other historic RD pianos. If you’ve been playing an RD-800, it’s an easy transition to the RD-2000. All the RD-800 Live Sets you’ve created are fully compatible with the new flagship. 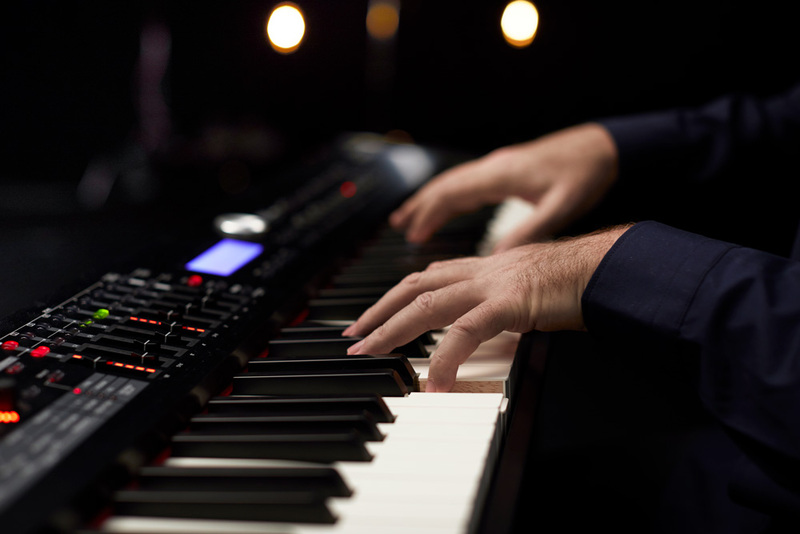 With a great stage piano, the keyboard action is just as important as the sounds, and the RD-2000 does not disappoint. The PHA-50 progressive hammer-action keyboard with escapement is the perfect platform for extracting every subtle nuance from the ultra-responsive acoustic and electric pianos. Derived from Roland’s premium home pianos, this innovative keyboard features hybrid keys constructed with wood and molded materials, providing both classic feel and rugged durability. The RD-2000 is equipped with Roland’s latest hammer-action keyboard with escapement. Designed for pro stage performers, the RD-2000’s intuitive interface makes operation effortless. Eight knobs and nine sliders offer control for sounds, effects, and more. In addition, they have convenient LED indicators to show the current parameter values at a glance. Eight assignable zones allow you to map sounds to different key ranges, or create combined sounds with up to eight layers. Scene memories are another powerful new feature, letting you save 100 different snapshots of the entire keyboard setup and recall them with a touch while performing. The RD-2000’s knobs have LED indicators that show the current parameter values. With its onboard sound engines, the RD-2000 is more than capable of handling the biggest gigs on its own. But if you need to command a large-scale stage or studio setup, this versatile instrument can do that with ease. Offering eight zones, a USB audio/MIDI interface, hardware MIDI I/O, and more, the RD-2000 gives you the most extensive controller features ever available in an RD series piano. You can easily integrate software instruments from a laptop, control them via zones along with internal sounds, and route their audio through the RD-2000 to create a powerful hybrid rig. Sliders on the RD-2000 panel. We’ve just scratched the surface of what this inspiring new instrument can do. 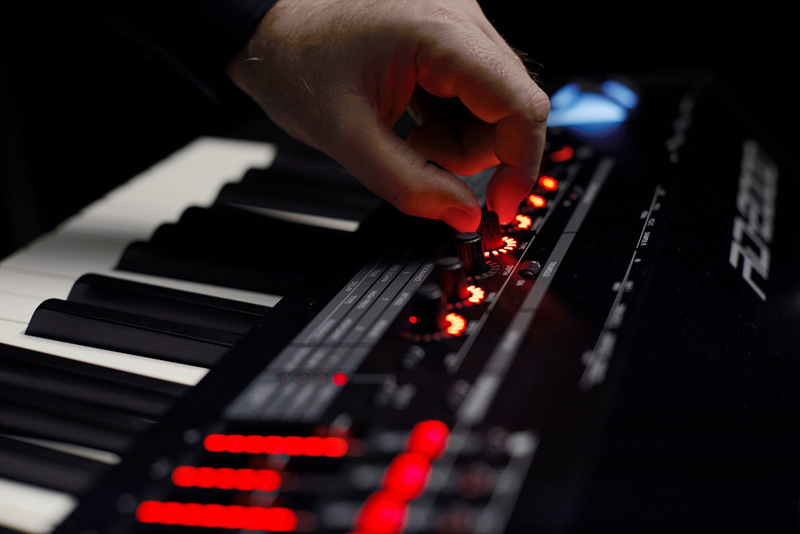 For further details, sound demos, and more, visit the RD-2000 product page at Roland.com.